A U.S. lobbying firm sought to recruit the ambassadors of France, Germany and several other countries to demonstrate international support for severing Russian oligarch Oleg Deripaska's control of Rusal, the aluminum manufacturing giant sanctioned by Washington. 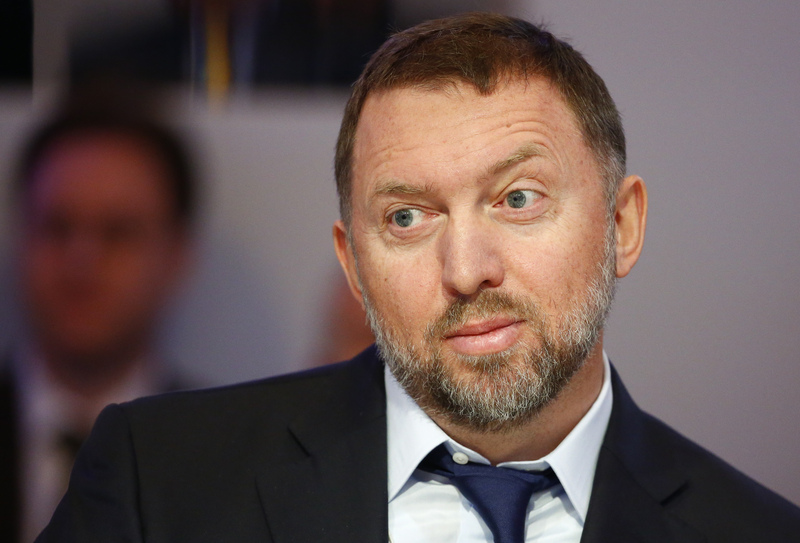 Documents made public by the Justice Department show that Mercury LLC drafted messages for at least six envoys to send to senior U.S. government officials that expressed support for a plan to eliminate Deripaska's majority stake in the EN+ Group, the holding company that owns nearly 50 percent of Rusal. Deripaska's close ties to Russian President Vladimir Putin are under a microscope while unintended targets of the U.S. penalties struggle with the punishment's impact. Leading the way, in an odd twist, is a conservative member of Britain's House of Lords, Gregory Barker, who hired Mercury to salvage Rusal and EN+ by casting Deripaska as the heavy. It's unclear how many of the ambassadors sent the messages. But Jamaica's envoy did, underscoring concerns about the future of a Rusal-owned factory on the Caribbean island. When the Treasury imposed sanctions on Deripaska a few months ago, EN+ and Rusal were blacklisted too because of the cascading nature of the penalties. It fell to Barker, who was installed less than a year ago as chairman of EN+'s board, to persuade the Trump administration to lift the sanctions against both companies. To do that, he will have to assure the U.S. that Deripaska is no longer calling the shots at EN+ or Rusal. Barker, a former British energy minister, signed a contract with Mercury in early May — a month after the Treasury Department announced the sanctions. Mercury is to earn $108,500 every four weeks, according to the contract, to support Barker's efforts to negotiate Deripaska's exit from the EN+ board and "the reduction of his ownership interest in the company." Anders Aslund, a senior fellow at the Atlantic Council and an expert on Russia's economic policy, said there can be only two possible owners of Rusal: the Russian government or Deripaska. That's because the aluminum company's main assets are giant smelters in east Siberia, a reality he said Treasury officials failed to grasp. The letters prepared for the envoys said Deripaska, not the companies, is the "true target" of the U.S. sanctions. He's already resigned from the EN+ board. The Treasury Department has set a late October deadline for his 70 percent stake in EN+ to be cut back to less than 50 percent. The "path for the United States to provide sanctions relief," the department said, is through Deripaska's divestment and relinquishment of control. The draft messages, along with background material prepared by Mercury, warned that each country would be damaged economically if the sanctions aren't eased. France and Germany rely on Rusal's aluminum in their automotive, telecommunications and aerospace industries. And Rusal is a full or part owner of factories that employ hundreds of people in Ireland, Sweden, Australia and Jamaica. The ambassadors of France and Sweden did not send the messages, according to representatives from each embassy. The embassies of Germany, Ireland and Australia wouldn't say. Deripaska also has figured into special counsel Robert Mueller's investigation into links between the Trump's 2016 presidential campaign and Russia due to Deripaska's connection to former Trump campaign chairman Paul Manafort, who once worked as a consultant to the billionaire businessman. Prosecutors recently disclosed that Deripaska provided a Manafort company with $10 million around 2010, a transaction described as a loan on U.S. income tax forms. The push to curb Deripaska's influence is playing out as Trump readies for a summit with Putin on Monday in Helsinki. Putin may try to call for Washington to relax the sanctions, which were triggered by Russia's annexation of Crimea, interference in eastern Ukraine's separatist fighting and meddling in the 2016 U.S. election. The draft messages say that Barker's approach is supported by other board members and EN+'s minority shareholders. The Trump administration is urged to extend any "relevant deadlines" to allow the plan to be fully implemented, according to the messages. There's no indication, however, of who or what EN+'s new majority shareholder would be. The letter dated June 14 that Jamaica's ambassador, Audrey Marks, sent to Treasury Department officials is nearly identical to the one Mercury prepared. Rusal owns the West Indies Alumina Company and "continued sanctions will impact our economy and jobs, with the attendant impact on workers and their dependents," Marks wrote. Lillian Farrell, a spokeswoman for the Irish Embassy, said Ireland is "gravely concerned" over the impact the sanctions will have on the Rusal-owned factory in Limerick. The embassy "is in ongoing contact with the U.S. authorities" over the plant's future, she said. The embassy has had discussions "with interested third parties" but the content of those conversations is confidential, Farrell said. Officials from the Swedish Embassy met with Mercury representatives, according to Gunnar Vrang, a spokesman for the ministry of foreign affairs in Stockholm, but no one in Sweden's government sent a message. He said Sweden and the U.S. have a shared interest in avoiding "unintended negative consequences of the sanctions in question."